From the south of Cuba comes the Quintero Favoritos. 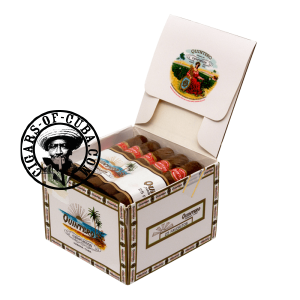 Biggest ring gauge of the brand, the Favoritos is more intense and complex that the other Quintero vitoles. The Concha No.2 size is unique, making this a special cigar to smoke. I was reluctant to by this box of 25 for the price, but once I enjoyed the first one, it was love at first smoke. This brand is extremely smooth from start to finish. Robust taste, yet easy finish. I really think this is well worth buy!